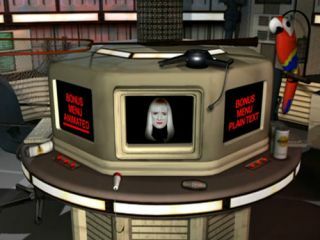 As Series III DVDs fly off the shelves, fans may have noticed from internet buzz that a few players seem to be having trouble with the 'Bonus' menu. This animated version of the show's iconic bunkroom was designed to capture the feel of the show... but in a minority of players it threw up a little problem. As addressed in an early BBC Statement, the disc produced by the company conforms to the industry standards - but, unfortunately, the same is not true of some DVD players. 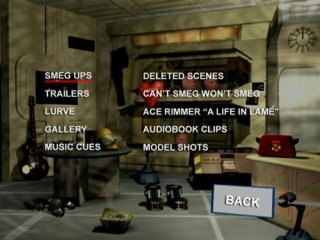 In an almost unprecedented move, however, the BBC have invested in a solution for those poor viewers left unable to see smeg-ups, deleted scenes, featurettes and more. Rather than leave fans to complain to their player manufacturers, a replacement disc is currently being designed. 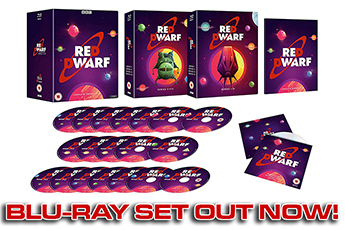 Full details will be announced on reddwarf.co.uk as soon as possible. In the meantime, the Beeb have issued a New Statement. This will also impact on the February-released Series IV, which is based on the same menu system. 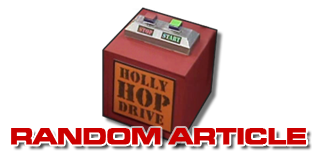 Both series' bonus discs will be almost identical to the existing versions, but viewers will now be offered two choices of 'Bonus' menu - the animated version or an alternate, text-based version, still located in the bunkroom set. And don't worry - even the menus' hidden Easter Eggs have hiding places in the simplified menu! 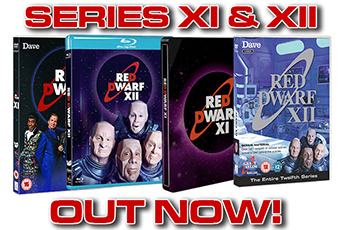 This menu has already been put into effect for Series IV in time for international duplication, and ensuring that the disc will be compatible right from the start. A Series III edition is likely to be ready shortly, available from the BBC to those few users who have been experiencing problems. We'll keep you posted on their progress. You can read the new BBC Statement here.